Archbishop of York to Name ‘Constantine The Great’. We are delighted to announce that The Most Reverend and Right Honourable Dr John Sentamu, Archbishop of York, will name our newest boat ‘Constantine the Great’ in a ceremony to be held outside York Minster, and in front of the statue of the Emperor Constantine himself, on Saturday 18th November at 10.15am. Constantine, an heavyweight men’s eight has already seen success on home and international waters. It travelled to Lake Bled, Slovenia, in September for the 2017 World Masters Rowing Regatta, but the highlight of its short time at the club was the qualification and progression to the second round of the Thames Challenge Cup for Club Eights at Henley Royal Regatta this July, where the ‘Dad’s Army’ crew turned heads by qualifying and beating a significantly younger Thames RC crew in the first round. It will be a wonderful occasion to celebrate this new addition to the fleet in the heart of the city, and we are very grateful for the support of the Archbishop and his staff in making the day one that will no doubt be memorable – see you there! 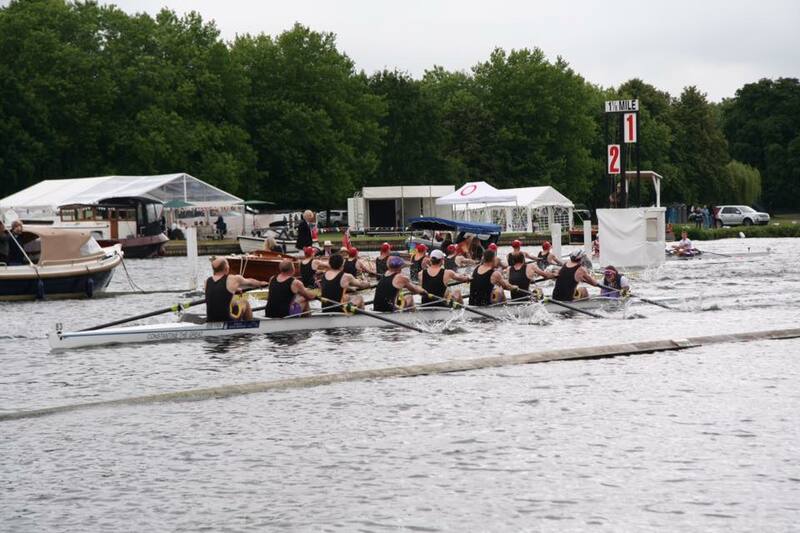 Constantine and Dad’s Army beating Thames RC ‘C’ in the Temple Challenge Cup, HRR 2017. Photo: D. Gray.